After 5 minutes we had conceded 4 corners, and had ventured into the Southampton box maybe once. No good from the off , this model continued into most of the first half, but West Ham weathered it out with the assistance of some poor shooting from the visitors. Then out of nowhere just before the half hour mark, Mark Noble picked the ball up just in the oppositions half and set off through the space that appeared to open up in front of him. Then in a very welcome out of character move he took a shot from about 30yrds which took a small deflection and put West Ham into an unexpected lead. If we could of held onto this to the half time, I think Sam would of changed things around, to defend the lead. However, we didn’t have to worry about that, as Southampton equalised just before the break when Schneiderlin scored with his second attempt post a free kick. The second half was more of the same and Southampton were well worth the final 3-1 scoreline, so fair play to them, and as I’ve said before in previous Southampton games, their support was fantastic. So what went wrong for the Hammers? The back line seemed ok, with Cresswell having another blinder. Reid , a bit like earlier in the week, seemed to have his head elsewhere at times, so maybe he is off to Arsenal (to become a sub, behind a world cup winner and an 18 yr old, really?) Adrian made some great saves in the second half. Up top we played with two players. Yes you have heard correct, 2 players. Cole and Zarate. Cole was his usual self, but Zarate seems a bit weak to pick up balls pinged up to him, and was being pushed off a lot. Maybe he needs to be facing the goal when receiving the ball, like an Owen style forward. The issue was in the middle of the park. Hammer of the Year and now Captain Mark Noble had a stinker despite his goal. This meant Kouyate spend a lot of time clearing up ( and did a good job of it). Vaz Te as previously said is just not Premier League quality, and once again went off on pointless runs and didn’t get back. 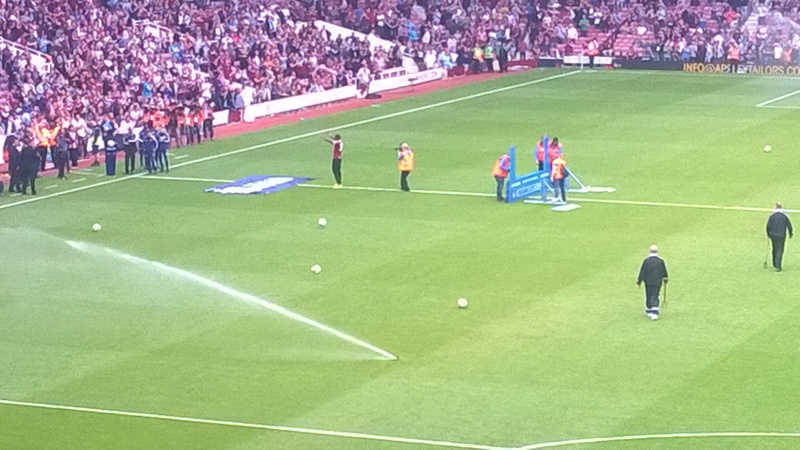 What was interesting was that we looked a lot livelier once Morrison and Diame came on for RVT and Zarate. Morrison seemed to look at home with Kouyate, and Diame offered a lot more on that wing. As usual the speed of transition from front to back is too slow, and teams playing against us have plenty of time to organise. Morrison. Personally, I wouldn’t have him in the club post his recent misdemeanours. Personally, I would have had him locked up. But we are in a predicament as well. If we take the moral high ground we lose out on a player who could light up the league one day, if he gets his head down. So I see why he is at the club, but i will admit it sits a little uneasy with me. MOTM is obviously Schneiderlin with his 2 goals. For West Ham Kouyate was superb and Cresswell wasn’t too far behind him. Adrian, despite shipping 3 goals had a decent enough game.